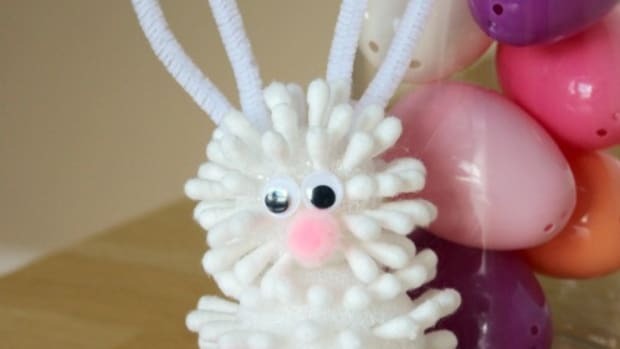 With less than a week left, I’m pushing up my crafting sleeves to create! 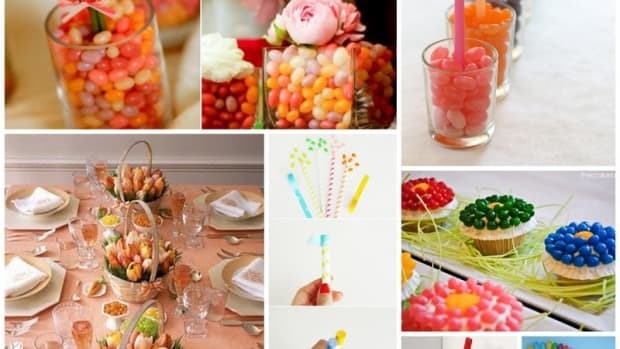 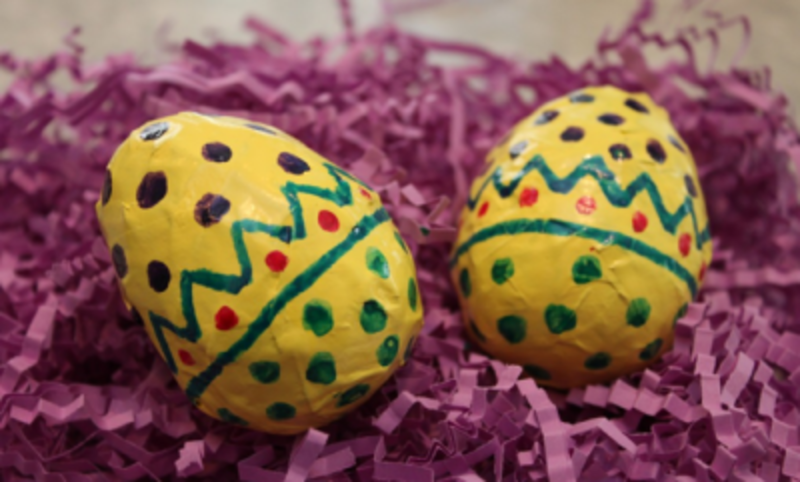 These Easter crafts sure look fun! 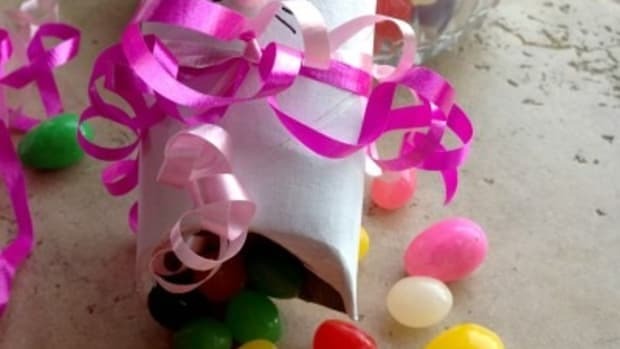 Easter Egg Basket ~ This is a clever idea from Family Fun. 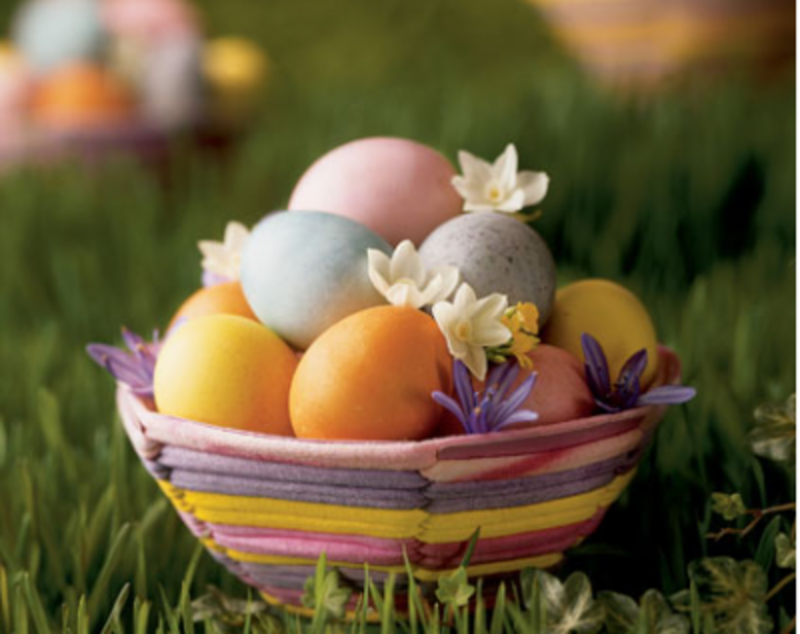 Naturally Dyed Easter Eggs ~ GREAT ideas from Crunchy Domestic Goddess on naturally dyeing your Easter eggs. 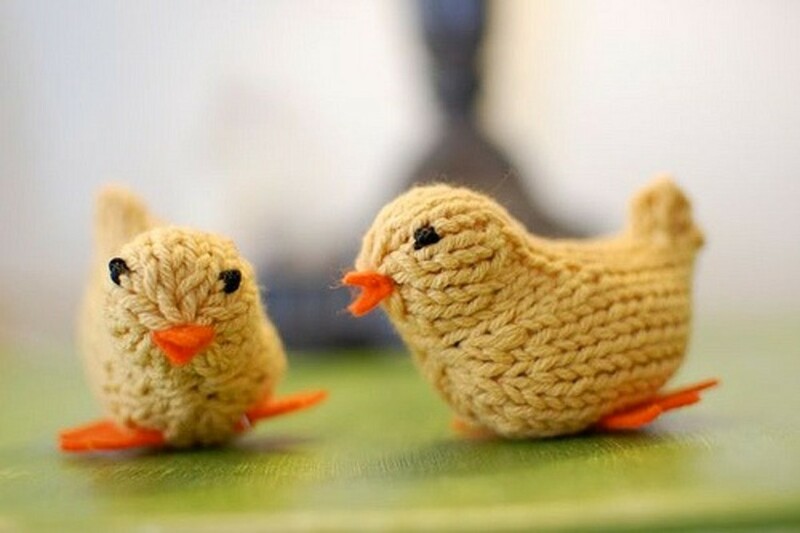 Spring Chicks ~ I made these little knits last year. 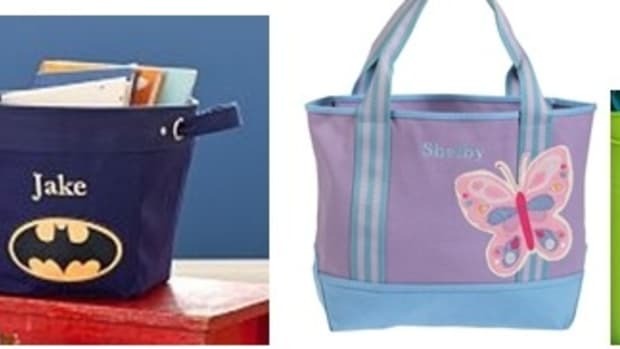 They are absolutely adorable! 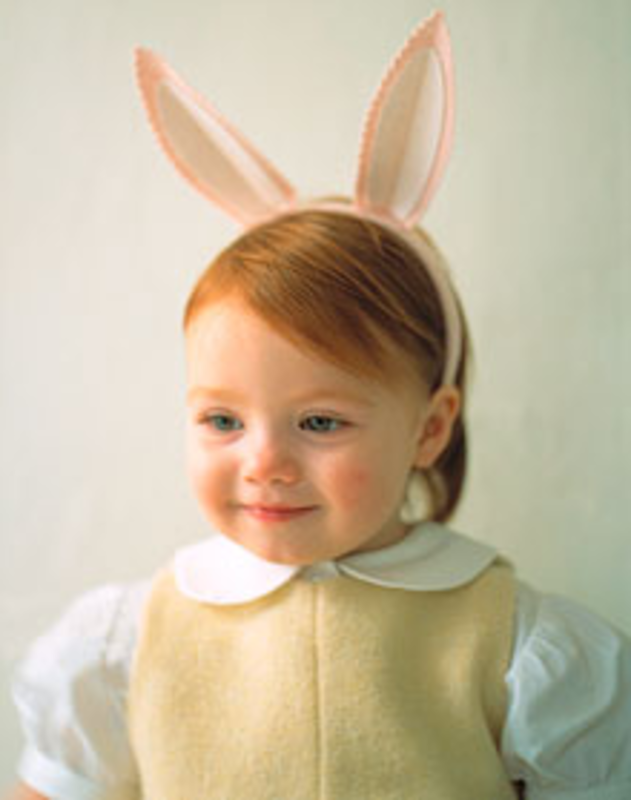 Bunny Ears ~ These ears from Martha Stewart would look so cute on a toddler looking for eggs! 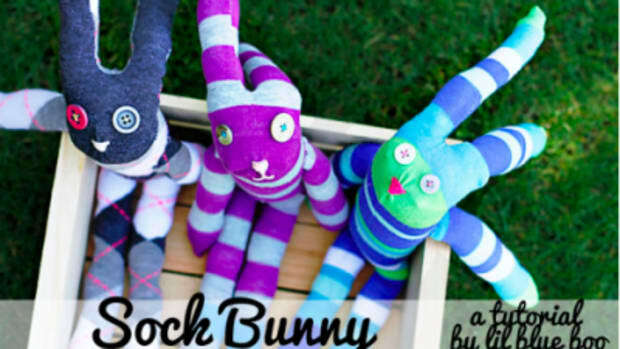 Easter Bunny ~ I’m a sucker for hand knit toys. 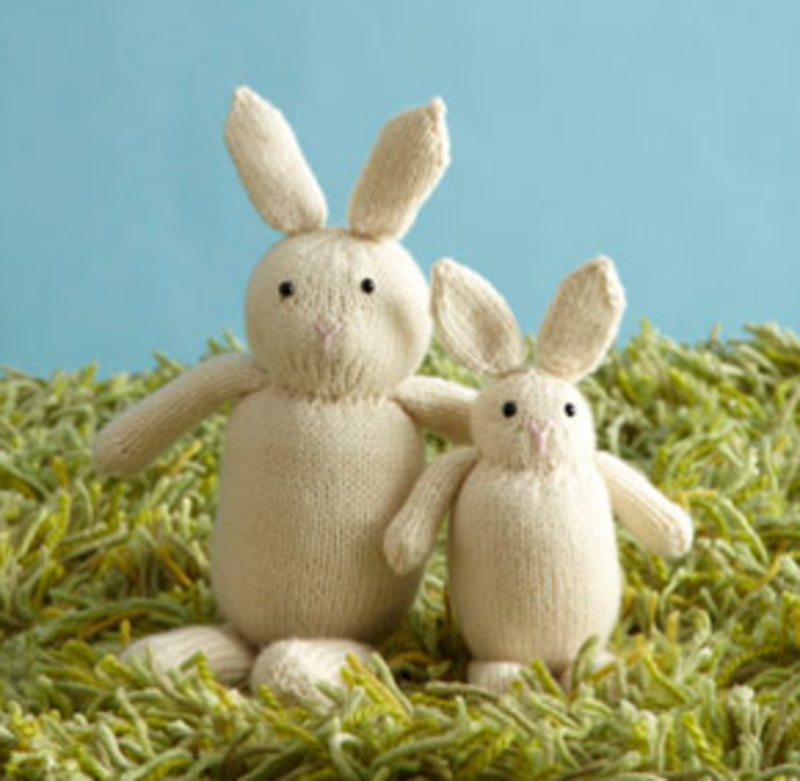 These Easter bunnies from Lion Brandare no exception! 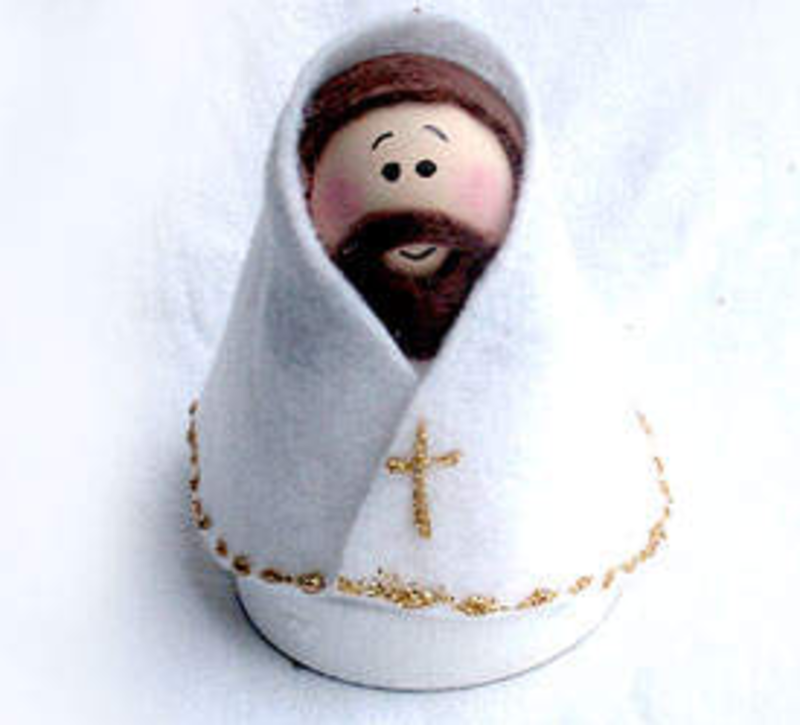 Clay Pot Jesus ~ A great reminder of why my family celebrates Easter. 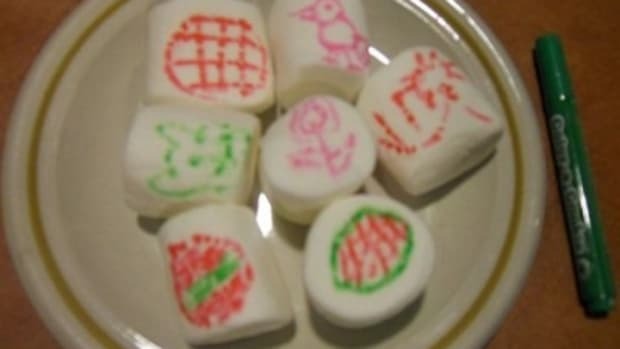 Thanks, Kaboose! 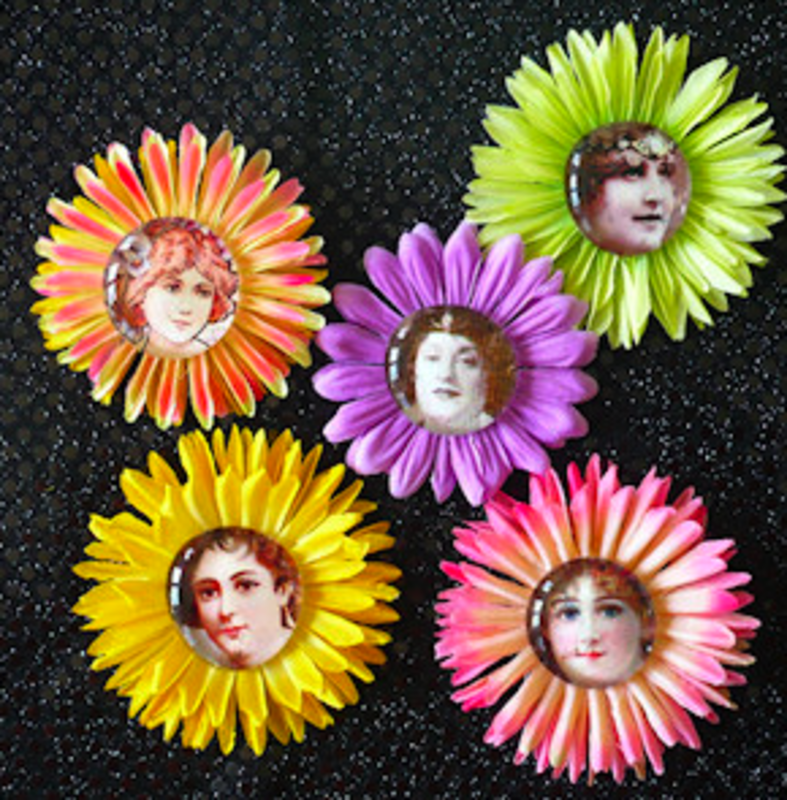 Flower Pins ~ Love the idea for these little pins from Vintage Image Craft. 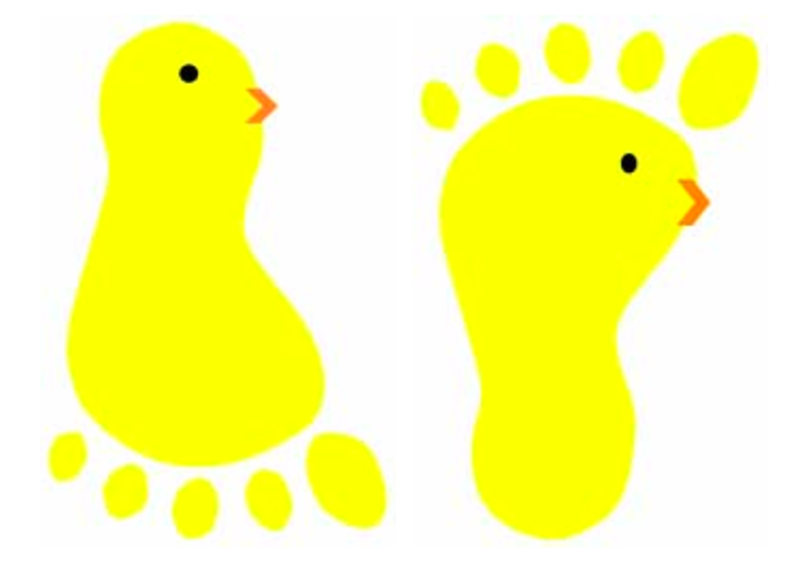 Footprint/Barefoot Chicks ~ Such a cute way to use your feet from KinderArt! 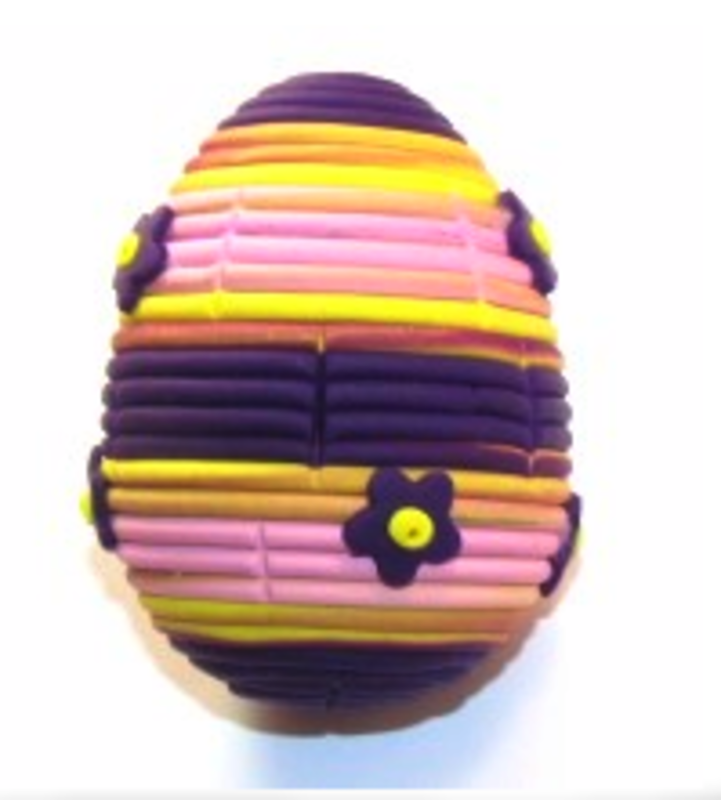 Polymer Clay Easter Egg Shaker ~ Great idea from CraftBits.com. 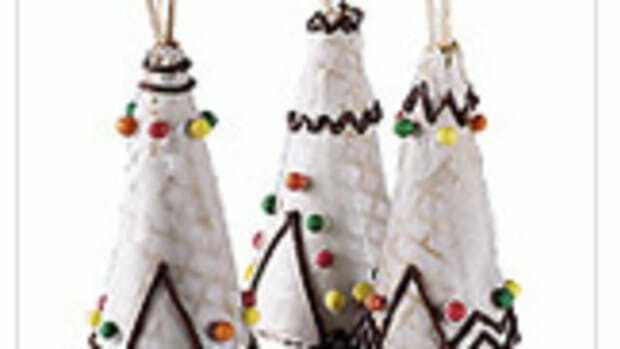 What a fun way to be festive and create a musical instrument! 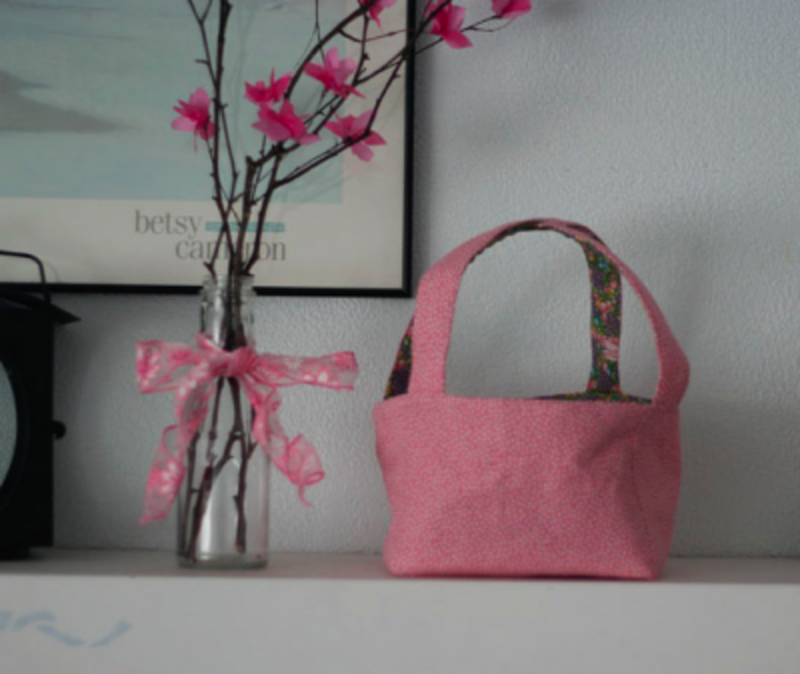 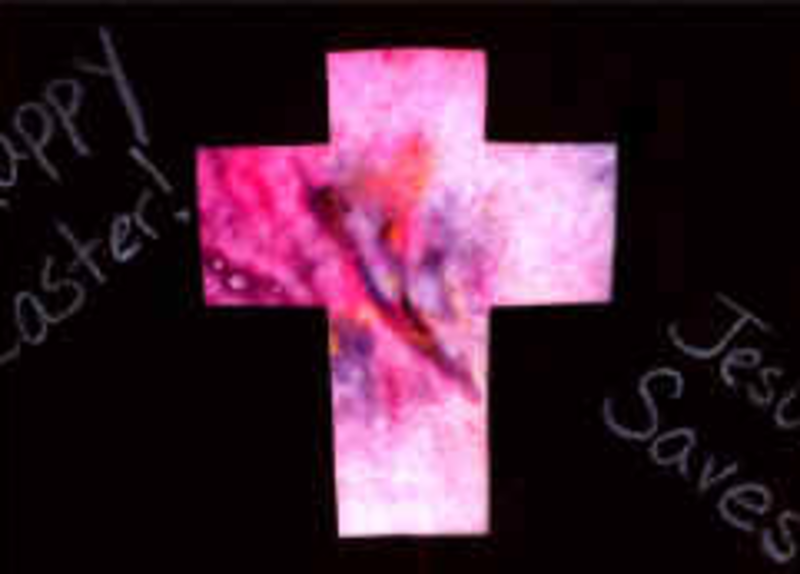 Reversible Easter Egg Basket ~ A fun sewing project from Makin’ it imMACKulate. 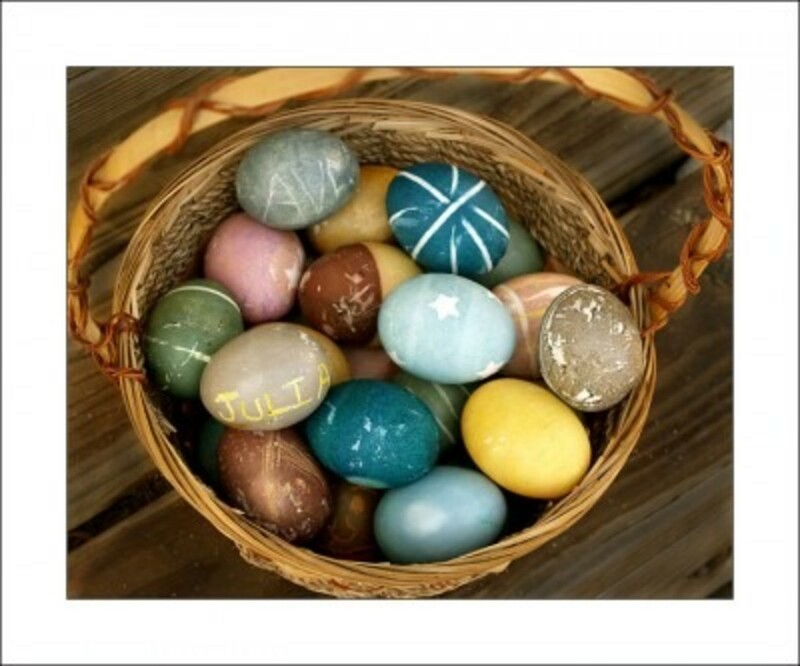 Musical Easter Egg Shakers ~ A great way to recycle from Crazy About My Baybah. Adorable Easter Bunny Crafts for little hands, from simple household items like Q-Tips, TP rolls, envelopes, and styrofoam cups.